Business Leaders aims to involve corporate leaders in schools and universities for 1h30. They share their experiences and inspire young people by showing them that success is within their reach. Nacer Ibn Abdeljalil and Mohamed Lahna, two young Moroccan athletes, are preparing to travel more than 3000 km to link Tangier to Lagouira. 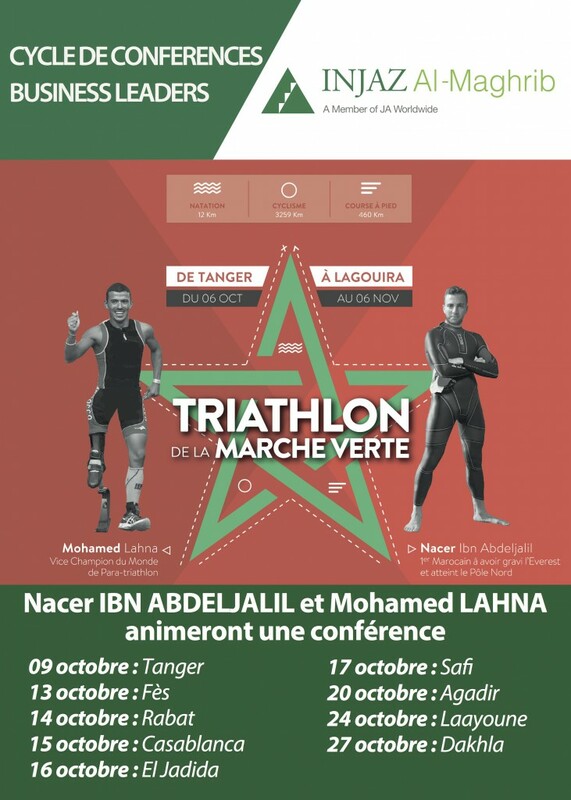 Presented as one of the longer triathlons in the world, this challenge is an opportunity for Mohamed and Nacer to animate INJAZ Business Leaders conferences in the main cities of the Kingdom. Both athletes will host 8 Business Leaders conferences where they will share their success stories with our youth! 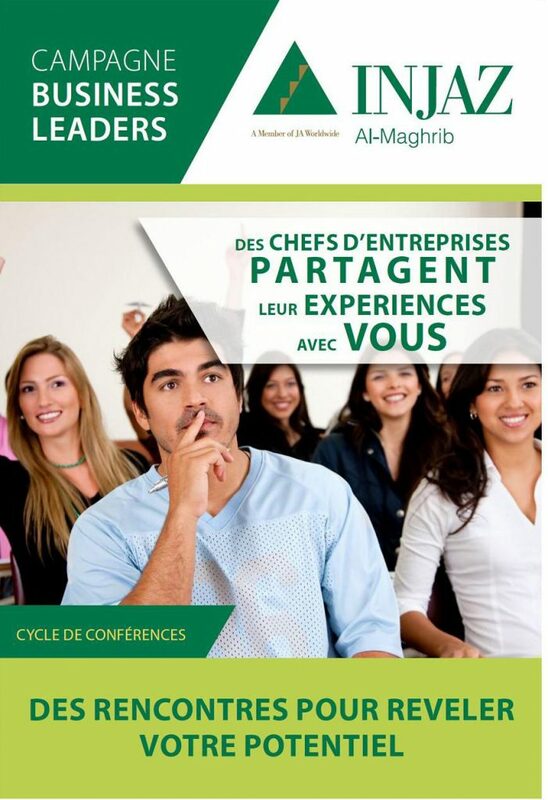 Rabat, November 16th, 2015, INJAZ Al-Maghrib and the Ministry of Moroccans Living Abroad (MCMREAM) signed a partnership agreement to launch a Business Leaders conference in 10 cities of the Kingdom in order to promote the entrepreneurial culture among youth in public education through the intervention of talented Moroccans living abroad and wishing to share their experience with young Moroccan students. The Minister mobilize Moroccan leaders living abroad to animate Business Leaders conferences for the academic year 2015/2016.